Could the Liberal Party’s opposition to the NBN be in part driven by TV broadcast lobby? Google has been rolling out its Google Fiber internet connections in communities in the USA. 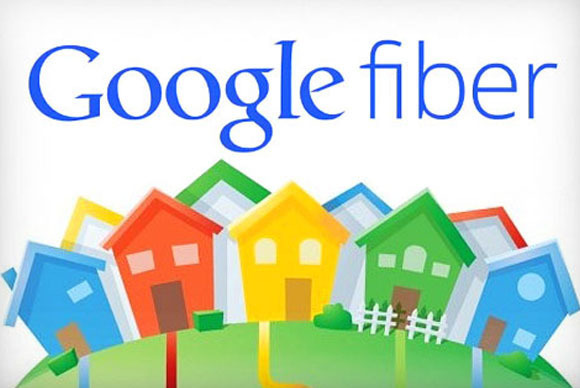 Google Fiber offers a 1Gb internet service for $US70 a month, $US120 including tv channels. It’s basically akin to a Foxtel cable connection to your home, but with blisteringly fast internet. Demand for VOD is growing even more quickly than analysts expected, as traditional broadcast audiences shrink and the market for traditional broadcast content implodes. As consumers spend increasingly more time on their mobile devices, revenue from broadcast advertising has suffered. Broadcasters have cancelled 18 programs from the 2012-2013 season so far, according to Entertainment Weekly. Google Fiber’s influence is impacting other carriers as well: within a week of Google’s announcement of expansion to Austin, Texas, AT&T announced a 1 Gbps plan for Austin and Time Warner Cable announced new city-wide wireless service for its Austin customers. In Australia we’re staring down the gun barrel of a change of government, to a Liberal party that wants to neuter many of the benefits of the National Broadband Network, the Labor Government’s plan to install fibre to the home internet – and which is already up and running in some suburbs. The simplest way to express the difference between Labor and Liberal is speed. Because the Liberal plan does not delivery a fiber connection to your home (or business premise), instead replying on a ‘last mile’ of copper or wi-fi, inevitably speed is comprised. Tony Abbot is on record as saying that 25Mb is “is going to be enough, more than enough, for the average household”. If you want the full 1Gb potential you’ll have to pay for the fiber to be extended to your home. In contrast the NBN brings the fiber directly into your home, just like your pay TV cable. The Liberal’s argue their plan is cheaper and better. The problem is almost no expert or commentator seems to agree with them, based on my probably biased survey of news stories. Their policy is all the more stranger because the person in the driving seat is Malcolm Turnball, the Shadow Minister for Communications. Malcolm made his considerable fortune from innovation online – especially as one of the early backers of pioneering Australian internet company Ozemail. I’ve long been fascinated at Malcolm’s opposition to the NBN, it just seemed against what surely must be his past experiences of how innovation in internet connectivity can stimulate a community and economy. So it made me wonder if the broadcasters have been reading the tea leaves and realising just how much of a threat the NBN poses to their cosy oligopoly – and whispering in the ears of the Liberal party power brokers? Rupert Murdoch, who owns a serious chunk of Foxtel, doesn’t hide his distaste for the Labor government, and though his Australian newspapers has been relentlessly pushing the Liberal cause. Unfortunately we may have no choice, the campaign has been successful and the polling says we face the proposed of a Liberal government come the end of the year. I did enjoy this article suggesting it’ll be the NBN that saves Labor, but to be honest I’m not holding out much hope. This entry was posted in Business, Politics and tagged Google, National Broadband Network by David Eedle. Bookmark the permalink. I live 26K’s from the Melbourne CBD. I can only access ADSL with speeds of 2mgs, so I no longer can access IPTV and forget about video conferences. I used to be able to download a large files and even TV shows in literally seconds, but now it takes three to four hours for a 45 minute TV show and well for movies, it’s an overnight job. If the Lib’s think that the full blown NBN isn’t worthwhile, I suspect it’s because they don’t have to live with my “modern version” of the internet, or the other option is that they’re either ignorant or working to someone else’s hidden agenda. Either way, they’re selling out the people that matter, the rest of Australia who has no interest in their pocket lining, self promoting policy of hate everything that Australia stands for.